Home > Celebrity Style > 'Hamilton' Cast Members Anthony Ramos & Jasmine Cephas Jones Are Engaged! 'Hamilton' Cast Members Anthony Ramos & Jasmine Cephas Jones Are Engaged! Learn more about the romantic proposal in front of a castle. 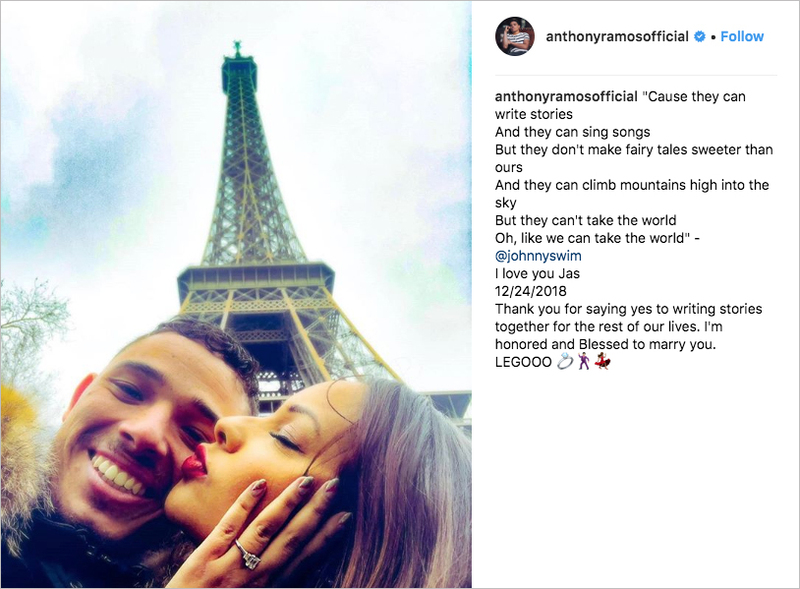 Anthony Ramos did not throw away his shot – he and Jasmine Cephas Jones are engaged! 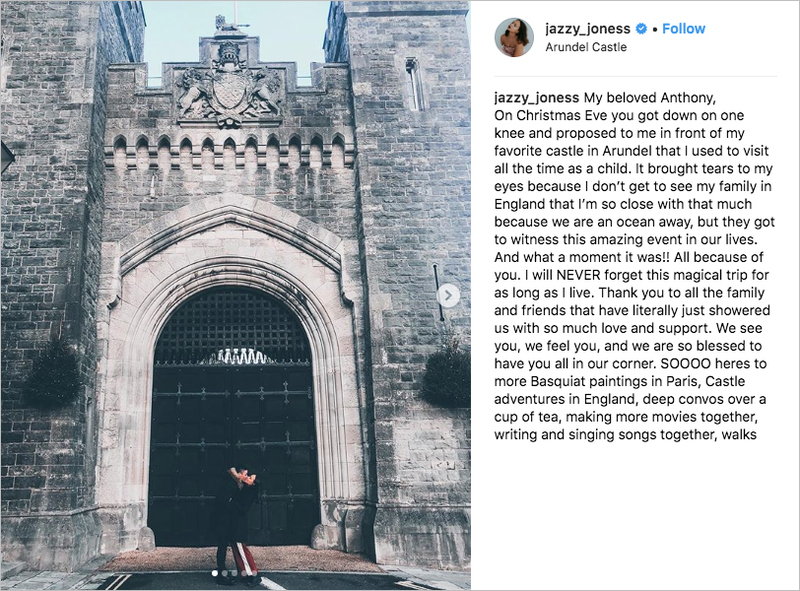 The proposal occurred in front of Arundel Castle in England on Christmas Eve, but the couple waited until after the holidays to share the good news publicly. They met while rehearsing for the Broadway musical that would make them stars: Hamilton. Anthony portrayed the dual role of John Laurens and Philip Hamilton, while Jasmine was both Peggy Schuyler and Maria Reynolds. Writer and star of the smash hit, Lin-Manuel Miranda, posted a photo on Twitter of him with the engaged couple to share his delight. He also reveals he was a little worried when he noticed Anthony sneaking glances at Jasmine during the first table read back in 2015, but obviously it all worked for the best! The multi-talented performer even edited his Twitter profile to include “Matchmaker” in the description! For the handful of people who never caught Hamilton fever, they may recognize Anthony from his role in A Star Is Born, in which he played the best friend of Ally – Lady Gaga’s character. Jasmine is the daughter of actor Ron Cephas Jones, who is most recently known for his Emmy-award winning role of William on This is Us. 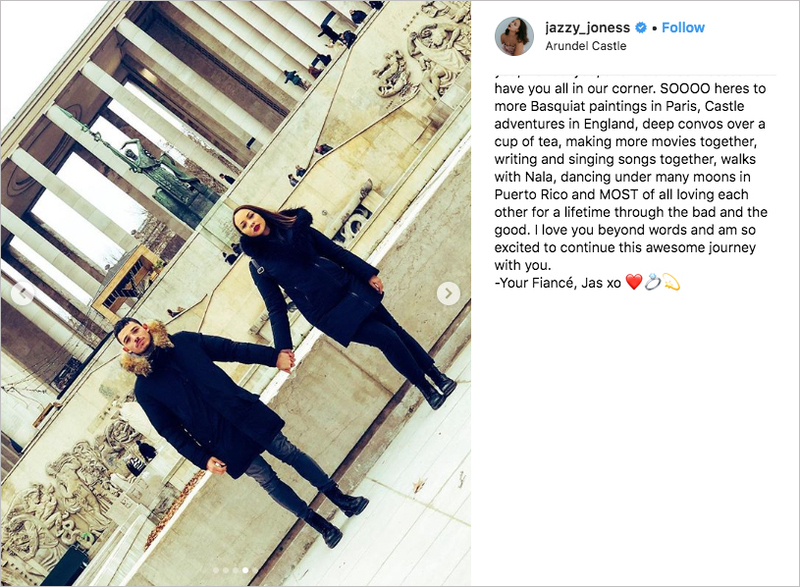 Her mother is British-born jazz singer Kim Lesley, and part of the reason Jasmine said their trip that led to the engagement was so special was because the British side of her family – whom she doesn’t get to see often – was able to witness it. The lovebirds then enjoyed a trip to Paris to celebrate their engagement and took an adorable picture in front of the Eiffel Tower to show off the lovely ring. For more celebrity news, read about the recent engagements of Chris Pratt and Katherine Schwarzenegger as well as Tim Tebow and Demi-Leigh Nel-Peters, Miss Universe 2017.